A colorful yellow and orange jellyfish swimming in an aquarium. I’m very pleased to share the news that I have been selected for this year’s Woods Hole Oceanographic Institution (WHOI) Ocean Science Journalism Fellowship. 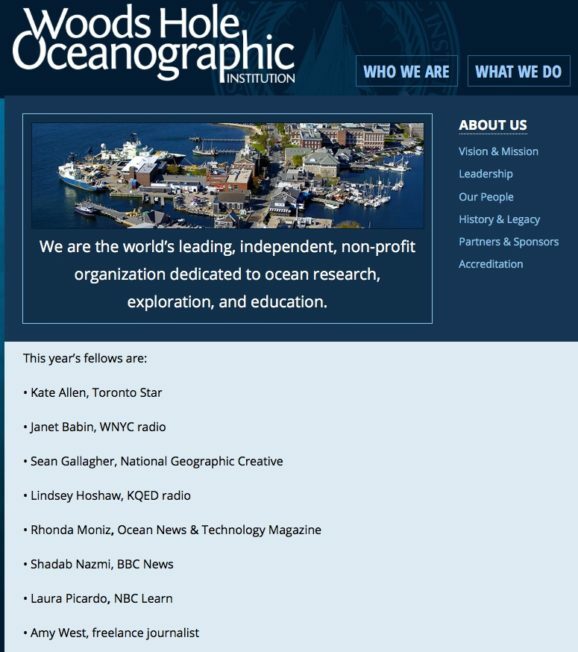 I’ll be visiting Cape Cod, in the north-east of the United States during September and am very much looking forward to studying alongside seven other journalists from around the world who are interested in issues surrounding our oceans. I’ll be sharing updates, mainly on Instagram, about my travels to the US and while attending the fellowship, so be sure to follow me there.